An agent group says smooth-operating systems would be better than more cash. Insurers say exchange and off-exchange products should offer the same comp levels. Brokers, insurers and public exchange managers in Colorado are talking about whether, and how, a public exchange can use broker rewards programs to promote sales of exchange plans. 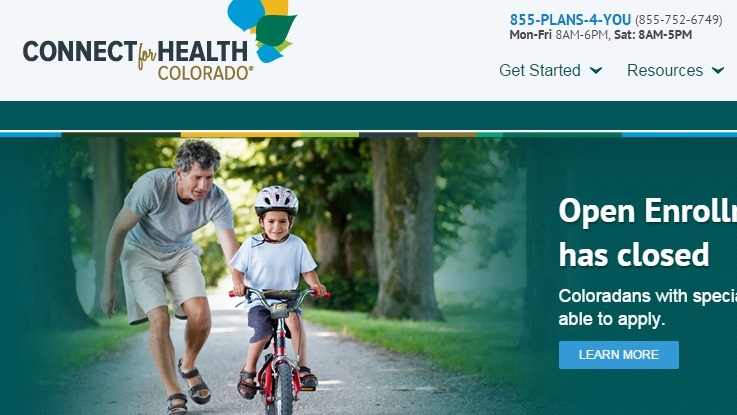 Members of the board policy committee at Connect for Health Colorado (C4HCO) discussed exchange plan producer incentive program principles Monday during a meeting, according to a meeting packet posted on the exchange website. The state-based Patient Protection and Affordable Care Act (PPACA) exchange increased enrollment in Small Business Health Options Program (SHOP) plans to 2,797 covered lives this year, up 50 percent from the 2014 SHOP covered-life total. The exchange has been trying to push for much higher SHOP enrollment for 2016 and 2017. Originally, the Colorado exchange board agreed not to have the exchange pay broker commissions. The board wanted the participating plan issuers to take responsibility for paying the commissions. But, this past summer, several carriers announced an incentive program aimed only at brokers who sold off-exchange group plans. One carrier stopped paying broker commissions in the fourth quarter, and another carrier stopped paying broker commissions on sales of gold plans. In the summer, exchange managers developed a “non-incentive, non-commission” awards program that rewards brokers for meeting sales and retention goals. “Now that some carriers are opting out of paying commissions to brokers… does the [exchange] have a duty to create an appropriate and acceptable ‘financial award’ mechanism?” the exchange managers ask. The exchange managers also ask the board for help with determining whether the current award program, which involves no financial incentives, is compliant with all regulatory, accounting, operational and audit standards. Byron McCurdy, chairman of the board of the Colorado State Association of Health Underwriters (CSAHU), and Tammy Niederman, CSAHU legislative chair, wrote to Kevin Patterson, chief executive officer (CEO) of the Colorado exchange, which they call “C4,” to say they believe creating an exchange broker bonus program would be inappropriate. Charlie Sheffield, executive director of the Colorado Association of Health Plans, a carrier group, has written to say few carriers support the idea of offering a SHOP broker incentive program. Colorado carriers like the current C4HCO board position that compensation should be comparable inside and outside the exchange, Sheffield says.